We'll match or beat any price..... Guaranteed! Any comments or questions you'd like to submit? As long as the equipment is returned in new, re-saleable condition, within 30 days of the Return Authorization we will refund your original purchase cost without any re-stock fee! **For the health and welfare of others, we regret that we cannot allow toileting or bathing/shower product returns because of sanitary and personal hygiene reasons. Some manufacturers will not permit returns on certain products. Please check with Customer Service if you have any questions. There are certain things you must do in the event of a return. 1) Keep your original carton and packing materials for safe transport! Please carefully repack the items in their original packaging so they are secure and tight inside the box. Utilize any plastic bags that came with your order - they protect items from vibration during shipping. 2) Contact us within 30 days of the receipt of the products. Email us or call us for return instructions and a Return Authorization number. You must have a Return Authorization number to ensure that your return is processed. You will be responsible for the return shipping cost. To protect yourself, use a delivery service that has a tracking # and insurance. A refund will not be given on merchandise that is lost by the carrier. If you paid a shipping fee on your original order for expedited, international or other shipping it is Non-Refundable even upon return of your order. Please note that returns may go back to a different location than they originated from. If you return an item to our warehouse in New York without a Return Authorization Number the cost we incur to ship the item to the manufacturer's warehouse on your behalf will be deducted from the amount of your credit, if any. 1. Paying to have the item delivered back to you. 2. Adjustment to credit for a 25% Disposal Fee. If you have any questions, please feel free to either email us at info@adaptivemall.com or call us at 1-800-371-2778 or 1-315-429-7112 to reach Customer Service. We are here to help! The Rifton Tricycle (formerly Wrangler) is available in 3 sizes. 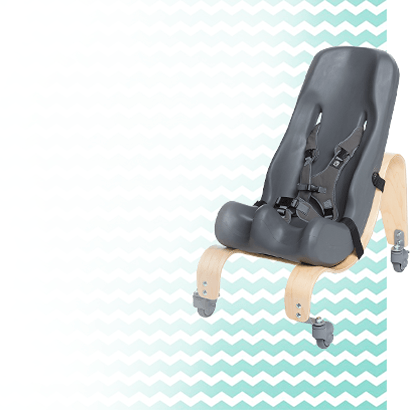 It is designed for people with special needs from age 4 through adulthood.It accommodates inseam measurements from 17" (42.5 cm) to 35" (87.5 cm). 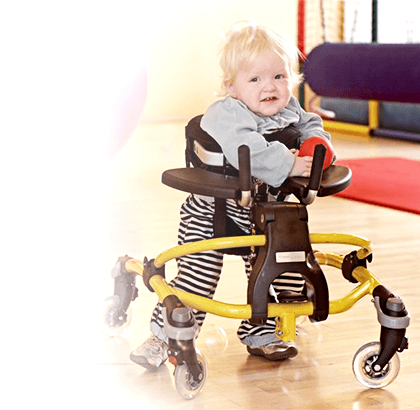 Riding a tricycle is a great way to practice reciprocal leg movement. The best part is, kids think it is fun, not work! 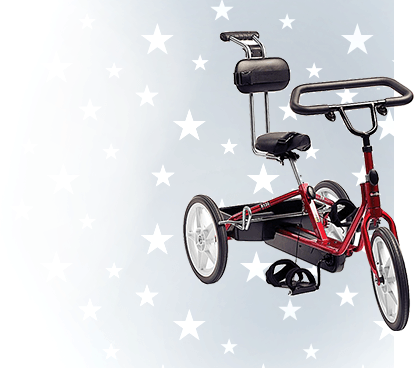 Rifton Tricycles come standard with self-leveling pedals with straps to help users keep the reciprocal movement going. 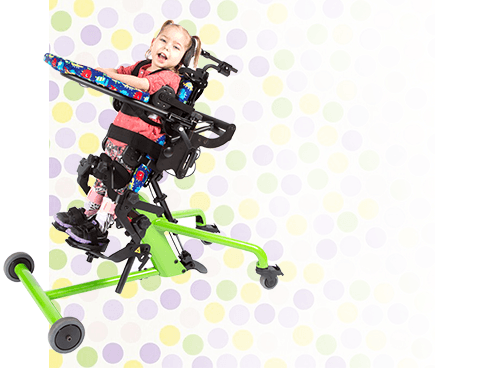 The Rifton Tricycle allows the user to be properly supported while participating in an activity enjoyed by so many people. The Loop Handlebar can be rotated to meet the user's preferred hand position if the Conventional Handlebar doesn't meet his or her needs. 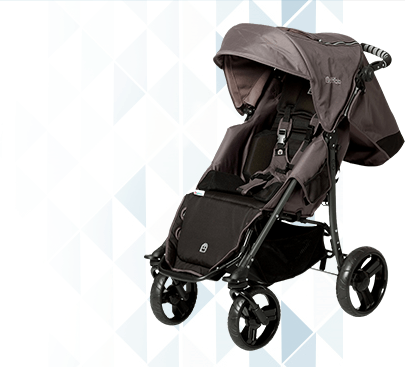 The Rifton Tricycle has a seat belt and a trunk support with belt that helps to keep the user's upper body in alignment. 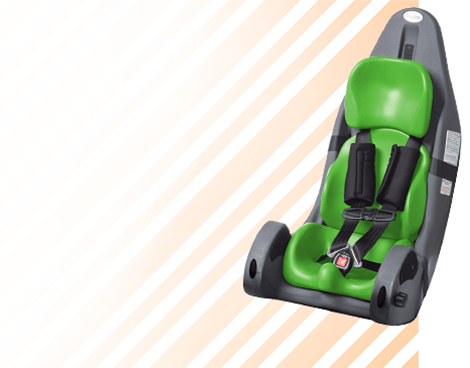 This helps them focus on pedaling and steering. 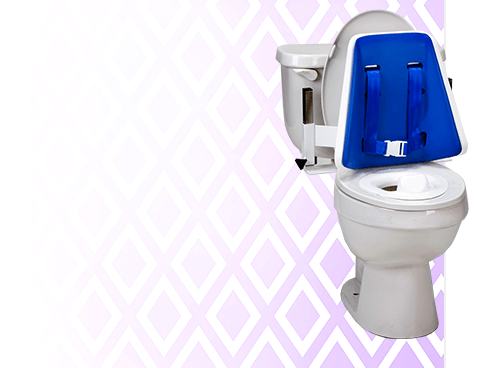 The self leveling pedals with straps help keep the user's feet in place.